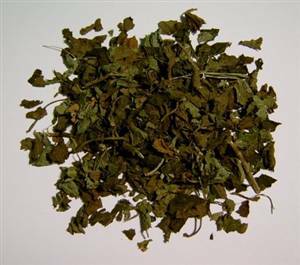 25g/1oz - also known as lemon balm - may help gastric, stress related digestive disorders, wind and nerves, take as a tea. Pleasant tasting, lemony. Also may help sleep. Take before bed. Another use (esp for children) is for feverish conditions. It may also help mood. Balm (or melissa) is a common garden herb which spreads easily.